Merriam’s turkeys inhabit a variety of western areas, from sparsely timbered prairies and grasslands to scrub-oak and pine foothills and mountains. Many Merriam’s flocks are loosely migratory, living up near snow-capped peaks in spring and summer and moving miles to lower elevations in fall and winter. 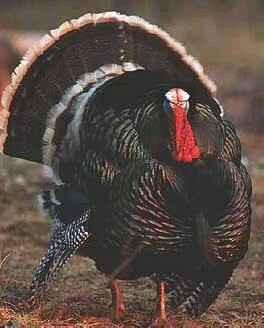 In the Southwest, most Merriam’s turkeys roost in ponderosa pines on the sides of steep, rocky canyons. North- and east-facing slopes near creeks seem to be preferred. Like their Eastern cousins, Merriam’s birds often roost on points and knolls below ridgelines.